Hike uphill on this trail and discover Ollon as you’ve never seen it before. From Ollon, set out towards Glutières and then uphill to Pousaz, follow the Salt Trail to Panex and then downhill to Plan-Essert, continue to Verschiez before returning to Ollon. 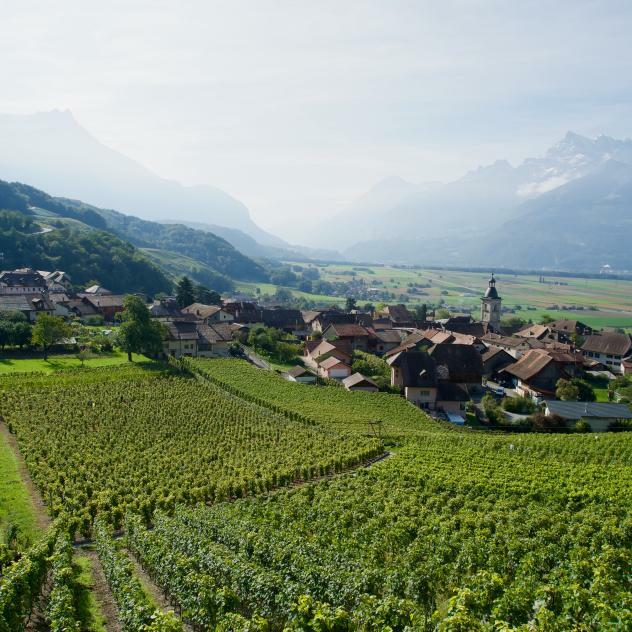 In its south-facing location at the foot of the Prealps, the hillside Ollon Vineyards benefit from a hot and dry climate, influenced by the foehn.